A head found in sprinkler systems. 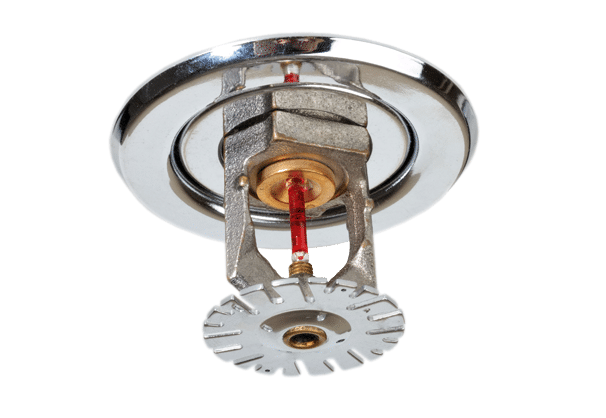 MJ Fire Safety provide a comprehensive maintenance service for sprinkler systems. Our experienced engineers understand commercial, domestic & residential sprinkler system requirements & work in line with LPC rules and British Standards. In addition associated pumps and fire alarm systems can be maintained and tested at the same time as the sprinklers. MJ Fire Safety’s one stop shop solution & professional approach negates the need for booking visits for multiple engineers. Consequently our clients have peace of mind knowing their system is being maintained by one well organised and competent company. Furthermore our company service database includes a number of drencher systems meaning we have the expertise to advise, inspect, test and even replace modernised systems. For all your sprinkler system requirements contact MJ Fire Safety on 0800 027 2480. You can also email us with any requirements you may have we would be happy to help.